What is Clinical Hypnotherapy or Clinical Hypnology? Clinical Hypnotherapy is the science that addresses the problems and traumas of the human mind, through inductive programming at the subconscious and unconscious of human beings, while in therapeutic sleep or trance. In Erickson Hypnotherapy about 60% is done in dialogue with the patient. But in the case of Conditional Clinical Hypnotherapy, the patient does not need to trust the therapist the reasons for their problems, because the patient does not need to talk to the therapist. Only the therapist talks to the patient. The short duration of treatment (3-5 sessions maximum), the efficiency of the method and the wide range of mental forum problems that resolves do Hypnotherapy, the Therapy of Excellence for the problems that sometimes seem to have no solutions. The rationality of this method is so sophisticated that transcends the current scope of traditional medicine. The Hypnotherapy is intended to all the problems of the mental forum, and sometimes also effective in such cases so-called "incurable" according to the medical-scientific traditional medicine or other alternative treatments. 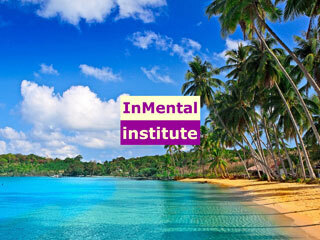 Innovative methodologies to develop and solve the problems of the Mind. It consists of a set of Hypnotherapy sessions with support and subsequent support for Medical Psychology. It consists of a set of Hypnotherapy sessions with subsequent psychological support. Make Your Reservation Using The Internet!